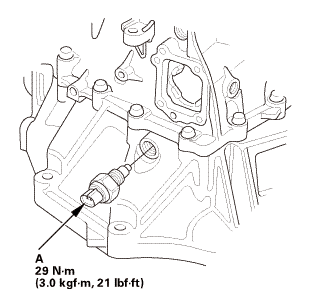 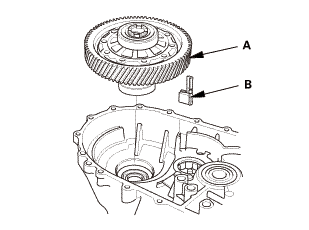 If you removed the 80 mm shim (A) from the transmission housing, reinstall the same sized shim. 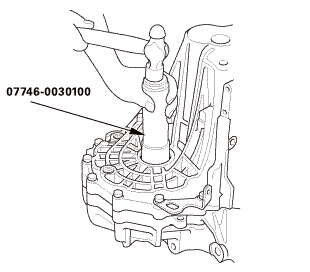 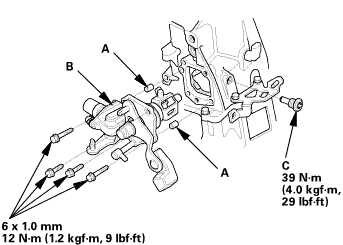 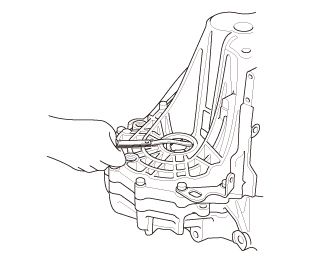 Install the transmission housing onto the clutch housing. 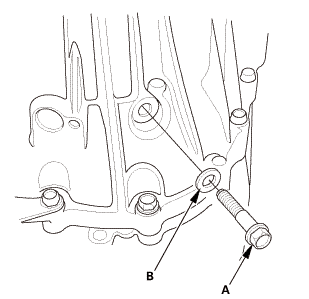 NOTE: Tighten the 8 mm flange bolts in a crisscross pattern in several steps. 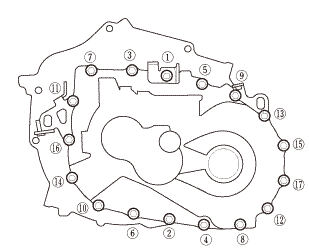 Use the 40 mm I.D. 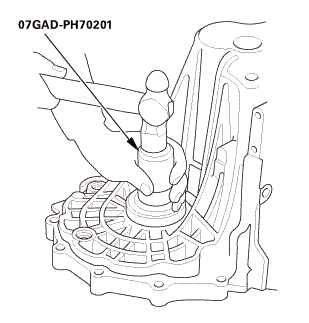 driver handle to bottom the differential assembly in the clutch housing. 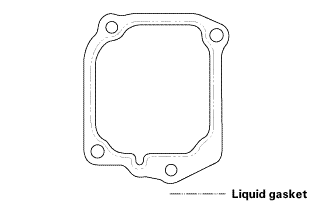 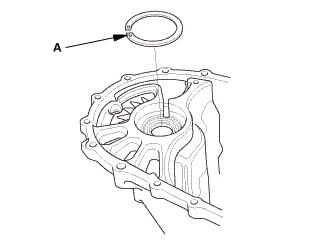 Measure the clearance between 80 mm shim and the bearing outer race in the transmission housing. 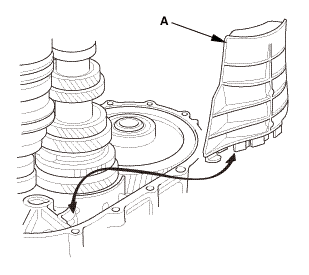 If the clearance exceeds the standard, select a new 80 mm shim from the following table. 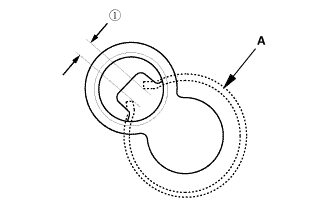 If the clearance measured in step 6 is within the standard, go to step 10. 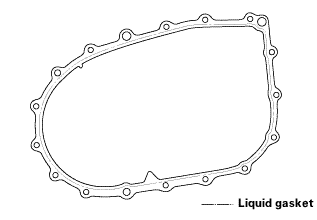 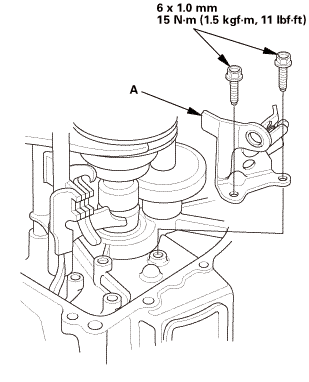 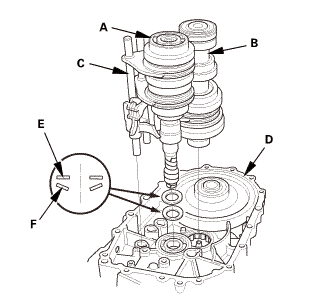 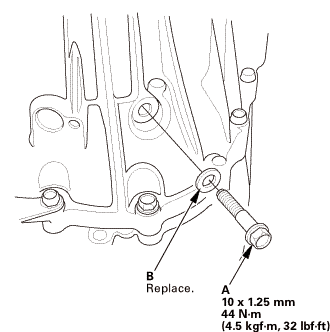 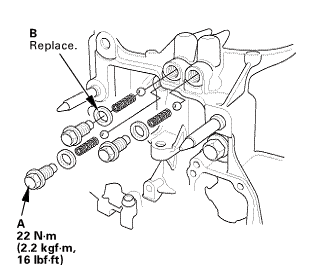 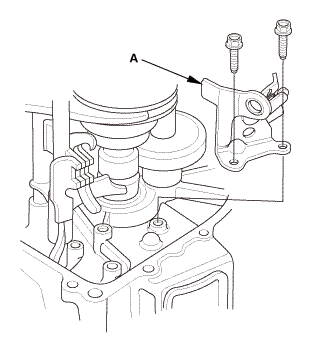 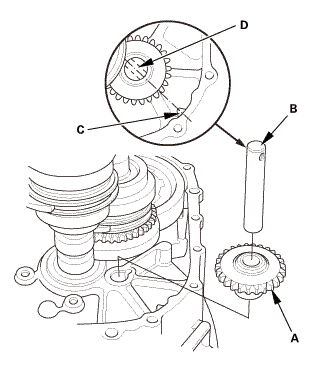 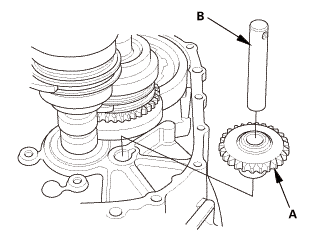 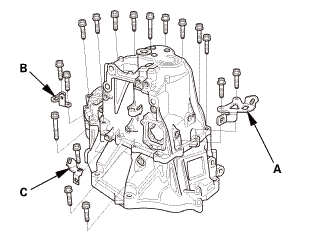 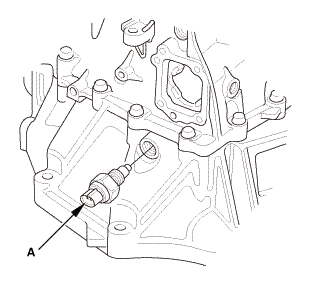 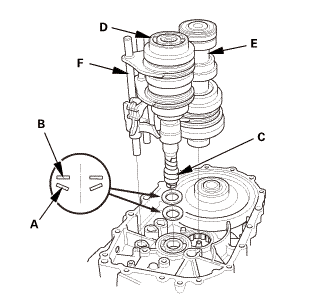 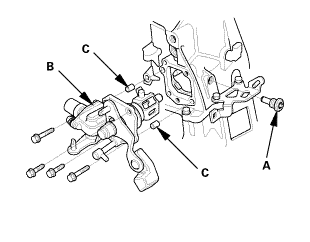 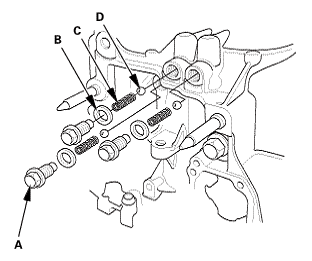 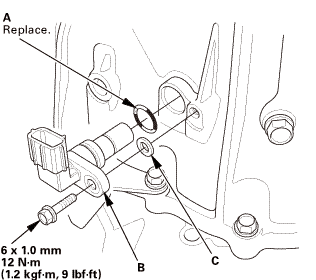 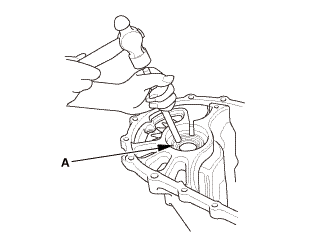 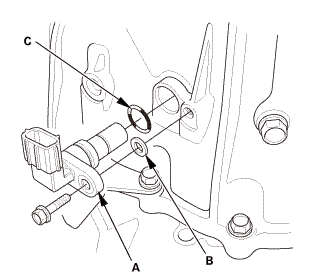 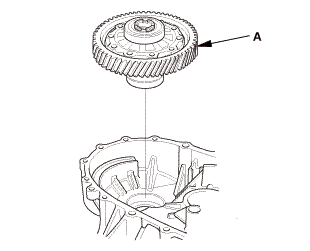 Replace the thrust shim with the correct one selected in step 7, then recheck the clearance. 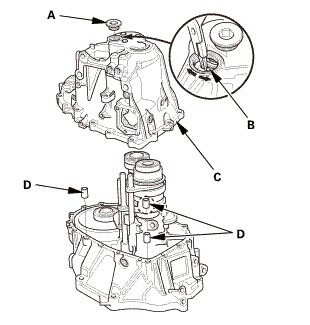 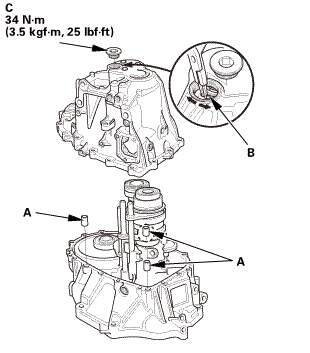 Install a new oil seal flush with the transmission housing using the 64 mm oil seal driver.